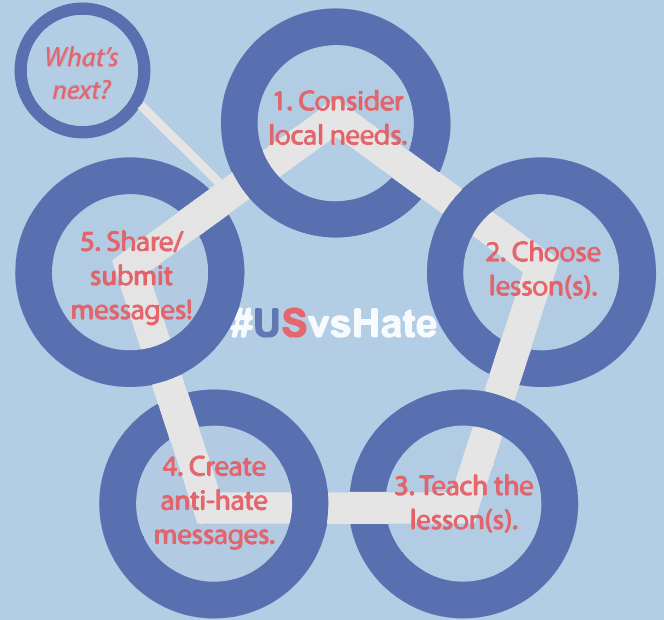 After students create public anti-hate messages in any media for their school communities, schools can display messages locally via school walls, activities, or websites, and send them to #USvsHate at any time for broader sharing. 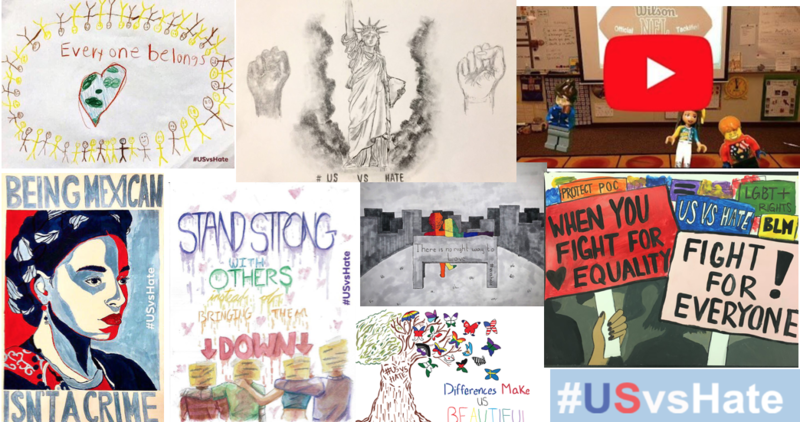 Three times a year, winning entries in an #USvsHate contest will be amplified nationally via our website and social media. A subset will be made into free posters and stickers for participating classrooms. Next deadline: April 26, 2019!